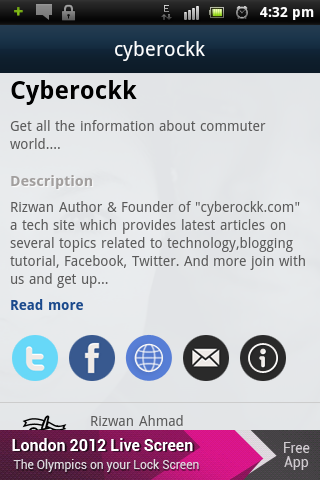 Today date: 13/8/2012 I launched my first Android App of my website and i am very happy to announce this great news to our readers and followers, i have created this app to my readers so they can download this app to their android phone then they will be able to browse and explore Cyberockk.com on their android phones. 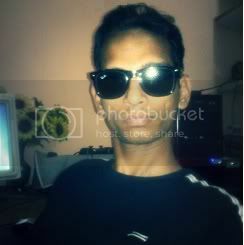 I am also going to launch another android App of my site soon which i have designed as a online music station where you can read my blog articles while listening the online music both at the same time my readers will be able to read my blog articles and by following my twitter and Facebook updates they will be able to get latest updates on their android phone. 1- The first thing i have added on the home screen is a about page where any one can get information about my website, There i have also added my site link, my twitter page link, my Facebook page link and Email option from where you can send me Emails if you want to contact me. 2- On the second tab you will find my twitter page from where you can read my latest tweets and you can also reply to any tweets. 3- on the third tab i have added my Facebook page by which you can check all the updates from my Facebook page. 4- On the fourth tab you will get Photos option where you can explore my Facebook photos. 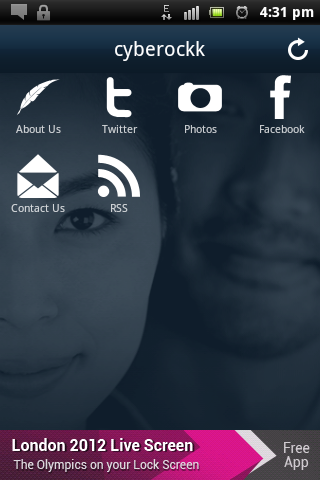 6- On the sixth and the last tab y7you will get RSS feed option from where you can follow and read my RSS feed updates right from your android phone. You can easily download this app just by clicking on the download button below, you will not get this app on Google play because i have not yet added this to Google play market but you can directly download it here.